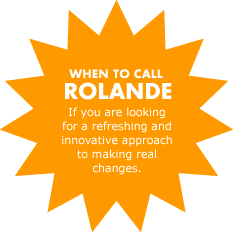 Spadrole Training and Development offers businesses and organizations a variety of advisory support services, in English or French, enabling stakeholders to achieve their goals. We will conduct an operational review of your organization and identify the key team players required to move your business forward by establishing a FOUR STEP strategic planning process. The FIRST STEP is to build the foundation. We identify all of the pertinent documents and name a contact person to represent the client. The SECOND STEP brings together all the key players and we create the framework. The THIRD STEP is to open up the process for consultation with the membership/employees and any other key players. The purpose of the FOURTH STEP is to validate the Values, Vision, and Mission and to make a first draft of the Strategic Initiatives and Key Performance Indicators.